The announcement is being seen as a breakthrough of sorts. It would pave the way for the authorities to resume indirect peace talks with the militants. More importantly, a truce – if it works – would allow the Prime Minister Nawaz Sharif to buy more time and sell his controversial policy of trying to talk to the Taliban rather than launch a military operation against them. But many in Pakistan will be sceptical of the announcement. The umbrella group of Tehreek-e-Taliban Pakistan (TTP) is a loose network of Islamic jihadists and Sunni extremists. 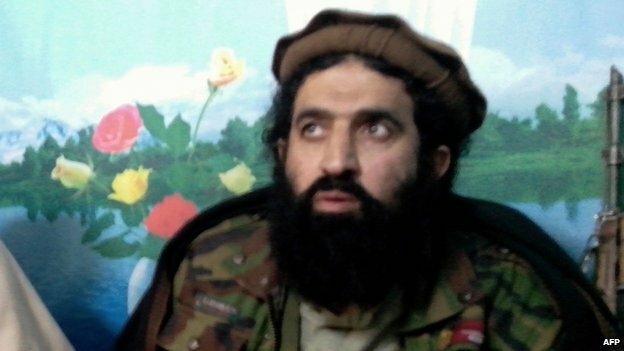 The central leadership of TTP often has little or no control over other groups. If the rare truce covers all of Pakistan, it will remain fragile and hard to implement. He requested the Pakistani government to fulfil the group’s demands, which include an end to US drone strikes and the introduction of sharia law. Irfan Siddiqui, an adviser to the Pakistani prime minister, said that the ceasefire would be a “positive development”. “After all 17 days of talks, this is the first big breakthrough that we are seeing,” he said. Interior ministry official Sami ul Haq told local media that he had spoken to the head of the Taliban’s negotiating committee following the announcement. The officials agreed to arrange a meeting between the two sides “within a day or two”. The Taliban said last month that they were close to deciding on a ceasefire, before negotiations stalled. The government’s decision to hold peace talks has been criticised by some Pakistani opposition parties because militant attacks have continued. The Taliban have recently stepped up attacks against targets in Pakistan and Afghanistan, ahead of an anticipated reduction in the number of US troops in the region in 2014. Hundreds have died in Pakistan in a series of bomb and gun attacks in recent months. The Pakistani Taliban, also knows as the Tehrik-i-Taliban Pakistan (TTP), are based mainly in the north-west, but have staged attacks across the country.